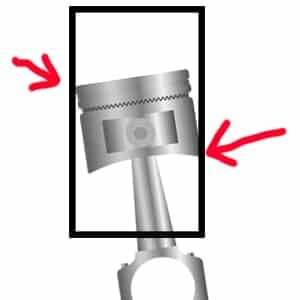 Piston slap is not an issue you will most likely not experience if you have a modern car with the latest computer diagnostic systems onboard, but it is a recurring issue with old cars. Modern cars have motion sensors that regulate the air-fuel mix and have knock sensors that will detect detonation. 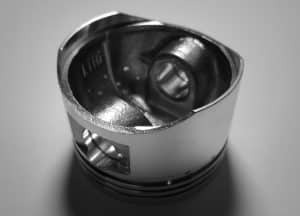 The first thing you will notice when your piston is failing is rattling/knocking sound, loss of power, misfiring and oil is burning. Your dashboard will also most likely start showing the check engine light. The piston to wall clearance can be large enough so that the piston rocks from one side to another to cause the piston slap. Aluminum blocks tend to easily succumb to this problem than others. Pistons that experience more cold clearance gain more velocity when the piston moves from the minor to major thrust side and this causes the piston slap. Modern cars have a knock sensor that senses any piston variations and relays this information to the ECU. The ECU will then pull ignition timing, and this should protect the car’s engine from false knocking. An offset pin can also be used to adjust the motion of the piston, and this will prevent it from hitting the cylinder bore due to the reduced force. Since the major cause of piston slap is the clearance, you can tighten the bore. The gap between the piston and the cylinder bore becomes wider due to wear and tear. What is the purpose of pistons? In its basic form, a piston is a cylinder that moves up and down inside the engine block. Air and fuel mixture explodes inside the combustion chamber, and this causes the movement. The piston is connected to a wrist pin, and this is later connected to the crankshaft. Combustion can occur with only one cylinder but modern fast cars have as much as 12. Most cars have four, six or eight chambers. Due to the amount of heat produced in the combustion chambers pistons are created to be lightweight while strong enough to withstand tear. Most of the pistons are made from aluminum alloy. In the old times, the pistons were made from cast iron. This meant that they could handle excess heat. Today cars can better handle heat and aluminum have become the preferred choice for piston design. However, the piston rings are still made from cast iron or steel alloys. To seal the gap between the piston and cylinder, you will find the compression ring seals. When the rings start to wear you will notice a bluish smoke being emitted. The oil ring is a combination of two rings and is used to wipe excess oil from the cylinder wall. When rings wear out, they become less elastic, and this causes oil to move to the combustion chamber from the crankcase. The check engine light will often come on when the pistons start failing. If the car has onboard computer diagnostic systems, you will get an error code showing a particular cylinder that is misfiring or a knock sensor trouble code. The reason for misfires varies and include faulty/dirty fuel injector, bad ignition coils, expired spark plugs, or bad spark wire. These, however, does not cause the piston slap but for the blue smoke emitted by the exhaust. The timing belt is vital in a vehicle because it helps fine tune the movement between the pistons and the valves. The two collide whenever the belt snaps. This will cause further engine troubles, and it is something that you need to change immediately. Dirty fuel injectors can cause a hole to develop on the top of the piston. This can only be detected the moment you open the top of the engine. Use of wrong spark plugs can also cause burned pistons. This is caused when the piston rings wear out, and this causes air to flow in the space between the cylinder and the piston. Oil seeps into this space and goes into the firing chamber; the result is a car that produces white smoke and consumes a lot of engine oil. While the piston slap is annoying, it does often not cause much damage to the car, and you can continue driving your car for miles if it’s not too worn or burns oil. The first thing you will need to do is to check the status of your pistons – are they in good condition? This will require you to get a good mechanic to dismantle the engine for you. One of the greatest contributors to piston slap is the skirts knocking on the cylinders. If this is the case, you will need to get a new and re-bore piston. If you decide to change them, then wait until the engine loses its compression. You can replace the oversized pistons with two passenger side pistons. Replace also the rings. Most people have been solving piston slap by having the pistons knurled through a lathe and knurling tool. However, this caused a myriad of problems like forming small dots on the piston’s cylindrical surface. For some diesel engine, the optimization of the piston pin is known to reduce the noise. But the modification can cause idling and this exuberates the piston slap. 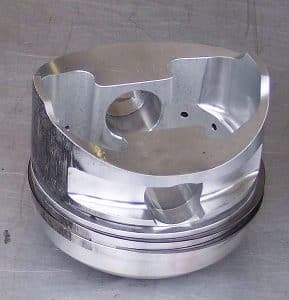 In the long run, piston slap is harmful for your engine, as it will probably become more and more noticeable while the cylinder walls and piston clearance gets higher. There is no clear answer for this, but it will depend on materials used to make the pistons. If you have aluminum pistons with short skirt length, they can damage pistons when you rev up the engine while it is cold. The reason is that the aluminum pistons have not had enough heat to grow to shape; they will rattle the against motor block’s cylinders. The solution is to wait for the engine to be warm enough before you rev it. Piston slap can be annoying and embarrassing. Imagine going to an important meeting only for your old car to start making rattling noises and emitting bluish smoke from the exhaust. Modern cars do not suffer from piston slap due to internal onboard computers. A simple solution to reduce piston slap is to warm your engine during cold weather before revving it.